Day 1: Arrival at Thessaloniki. Overnight in Thessaloniki. Day 2: Full day tour to ancient Neapolis (modern Kavala), Philippi, and Amphipolis. Neapolis was the port of Philippi and the first place where Ap. Paul set foot on the European soil (Acts 16:9-11). Philippi was named after Philipp II (father of Alexander the Great) and it became a very important roman colony, in which Ap. Paul established the very first Christian church in Europe. We’ll visit the archeological site with the Roman forum, the theatre, the Octagonal 4th A.D. church, the two early Christian churches (6th A.D.), and the “so called” prison of Ap. Paul. The highlight of the tour is the visit of the “river of Lydia”, (the river Zingates), and the –possible- place of prayer where Ap. Paul met Lydia and the other Jews, outside the city’s walls. Today in the site, there is a Baptistery dedicated to Lydia. On the way back to Thessaloniki, we pass by Amphipolis (Acts 17:1). Day 3: In the morning we do a sightseeing tour of Thessaloniki (Acts 17:1-8). We drive to the Old City and admire the well preserved Byzantine City Walls, the White Tower, the Triumphal Arch of Gallerius and the Rotoda and visit the Roman Forum, and the church – early Christian basilica- of St. Demetrius (the patron Orthodox Saint of Thessaloniki). Then we continue to Pella, the second capital of the Macedonias and the birthplace of Philip II and Alexander the Great. We’ll see the ruins of the perfectly designed ancient city, (houses, shops, agora) and we’ll visit the new archeological museum which houses rare findings and well preserved mosaic floors. Afterwards, we go on to Veria (the Biblical Berea, Acts 17:10-13) where we’ll visit the old Jewish quarter and the so-called “Bema” or “Altar” of Ap. Paul. 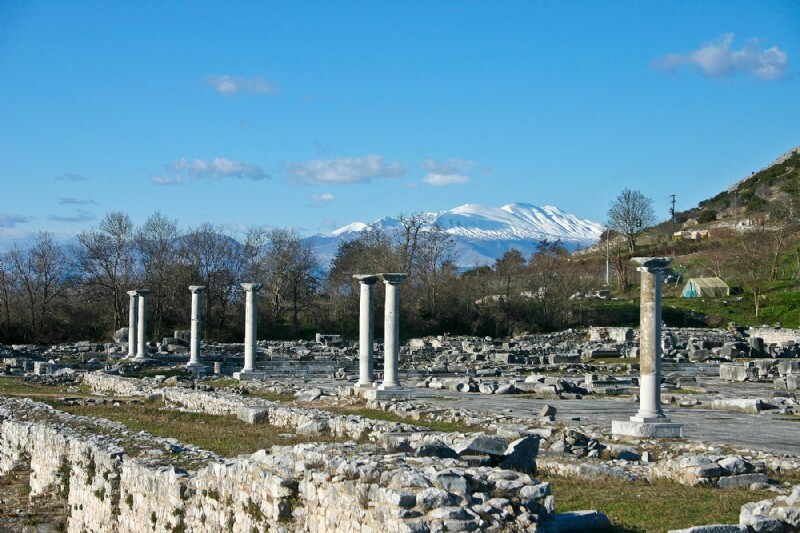 Our next stop will be at Vergina, (ancient Aigai), the first capital of the Macedonians. There, we’ll visit the museum that houses the superb artworks from the tomb of Philip II, father of Alexander the Great, (one of most important tomb ever discovered). Overnight in Katerini/Leptokarya at the foot of the famous Mt. Olympus,- the highest Mountain of Greece. Day 4: In the morning we visit Dion. It was the sacred city of the ancient Macedonians. From the port of this city, it is possible that Ap. Paul sailed for Athens (Acts 17:14-15). Dion is an extensive archeological park. We’ll see the sanctuary of Demeter and of Isis, the two theatres, the remains of well preserved ancient roads and walls, the roman Thermae (Baths), a Bouleuterion/Odeion, two early Christian basilicas, houses and shops. We’ll visit also the archeological museum which houses some of the rare and unique statues, reliefs and inscriptions. Then we continue to Kalambaka, at the foot of “Meteora”. Characterized by Unesco as “a unique phenomenon of cultural heritage”, these rocky formations are crowned with Byzantine monasteries (14th -16th c AD). Overnight in Kalambaka. 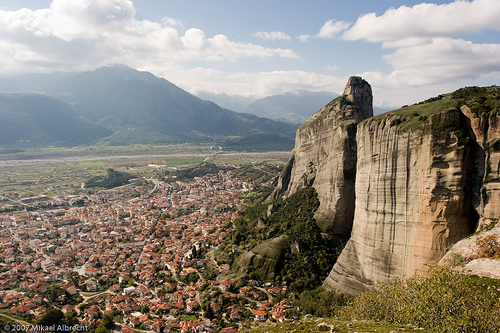 Day 5: Morning tour of Meteora and visit of one of the monasteries. Photo stop at the other ones. In the afternoon we continue to Delphi, passing by Thermopylae, famous for its 480 B.C. battle between the Greeks and the Persians. Delphi was considered the center of the ancient world (the “omphalos” (navel) of the earth) and it lies on the slopes of Mt. 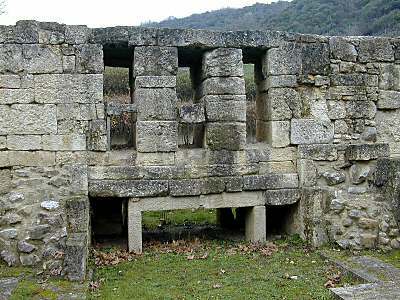 Parnassos. It was the sanctuary and the oracle of god Apollo, famous for its prophecies. (Pythia=prophetess, pythonic spirit=spirit of divination – Acts 16:16). Overnight in Delphi. Day 6: FD Delphi tour. We visit the archeological site with the temple of Apollo, the treasuries, the theatre, and the stadium, as well as the wonderful archeological museum. The superb bronze Charioteer and the inscription of Gallio are among the artifacts that we’ll admire there. In the afternoon we depart for Olympia in the Peloponnese, the home of the ancient Olympic Games. Overnight in Olympia. 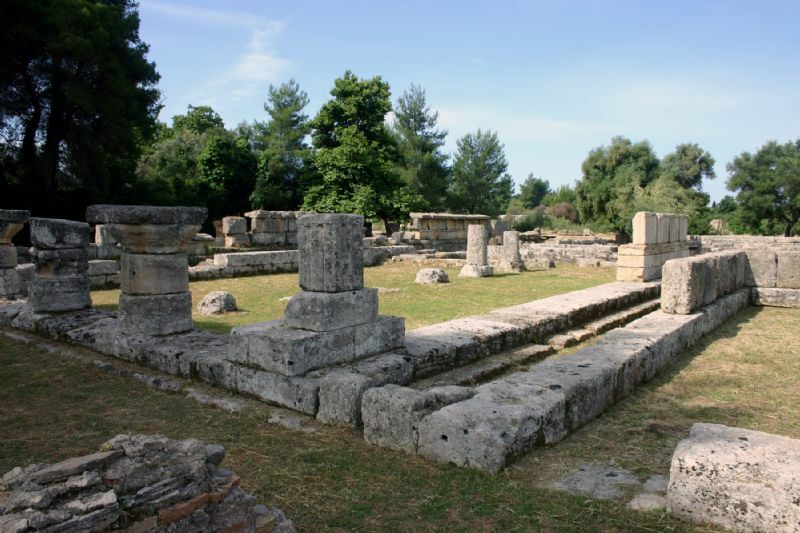 Day 7: We visit the archeological site and the museum of ancient Olympia. 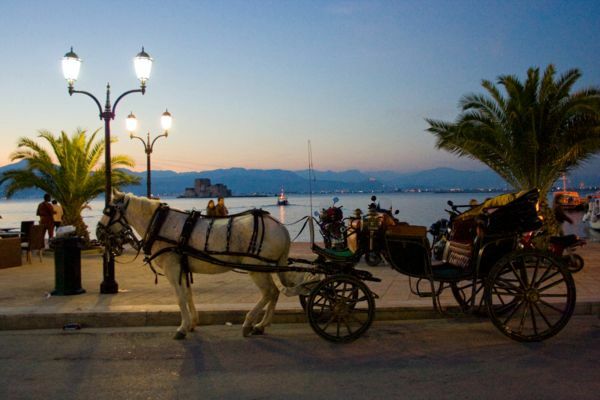 Depart for Nauplion, a very picturesque town which became the first capital of the independent Greece. Overnight in Nauplion. Day 8: In the morning we leave Nauplion for Corinth, passing by Mycenae, an important prehistoric citadel. We visit the archeological site of Corinth (Acts 18:1-18). We walk in the Roman Forum with the “Bema” (or Judgment Seat) of Gallio, the temple of Apollo, the fountains and the roman latrines, as well as the “Erastus” inscription and the small museum with items of Biblical interest. Erastus was the “aedile” or “economos” (treasurer) of the city and a co-worker of Ap. Paul (Romans 16:23). Later, we’ll visit the Acrocorinth, the citadel of Corinth, as well as Cenchreae, the eastern port of ancient Corinth in the church of which Phoebe was the diaconese (Romans 16:1). We return to Athens. Overnight in Athens. Day 9: FD tour in Athens. Sightseeing city tour which includes the House of Parliament, the Olympic Stadium, the temple of Zeus, the University, the Hellenic Academy and the National library. Then we climb up to the Acropolis Hill and visit the famous Parthenon and the Erechteion. We continue to the nearby Mars Hill (Areopagus) where Ap. Paul gave his well known sermon (Acts 17: 16-34). We’ll see also the Ancient Athenian Agora (the Temple of Hephaestus and the Stoa of Attalus), the center of the ancient city, where Ap. Paul met the Epicurean and the Stoic philosophers. The tour will end with a visit to either the New Acropolis Museum or the National Archaeological Museum. Free afternoon. Overnight in Athens. Day 10: Free day OR one day cruise to the Saronic Gulf islands.